Hi everyone, just added these two new templates to my website. My little cat Douglas was the model for the Cat Card !! Fabulous Shirley, love the Kitty. 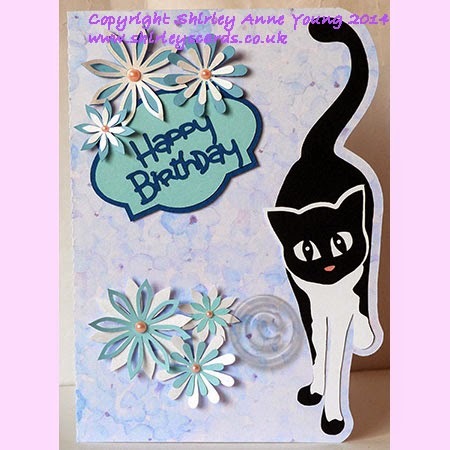 Such a great card for a cat lover Shirley and the Christmas sillouhette is fabulous. Fab designs as usual. PS glad all was well with your blog. I love this design, thank you for making it free.